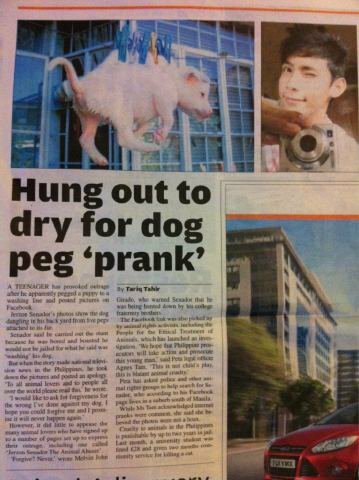 I saw this topic spreading in Facebook, twitter, and blogs. 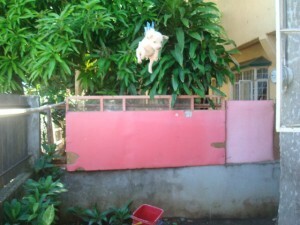 I don't know why'd he need to hang his dog after taking him to bath. Some facebook pages spread the album named "Bagung ligo si "PUPPY"" so facebook users saw the album and now he's really popular for doing that animal cruelty. 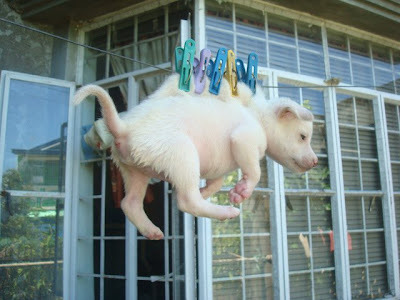 Jerzon Senador is still arrogant for doing that thing that lead him to be hated by many people especially animal lovers. 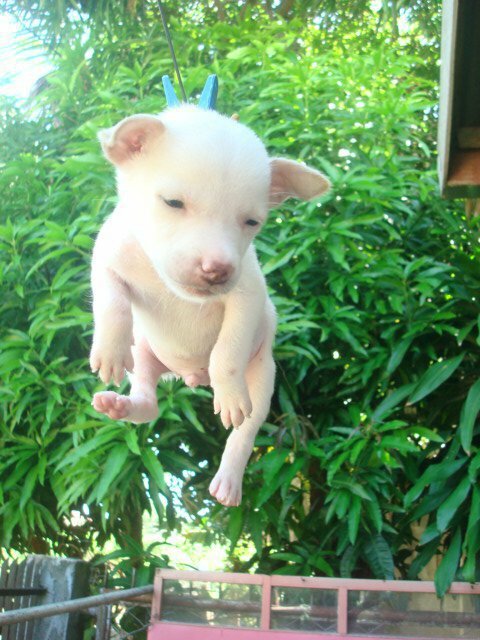 It shows here that the hanging puppy was articled in a newspaper in U.K.